Japanese traditional architecture is renowned for its minimalist style. But within the simple wooden structures and plain colored walls, the most ingenious and elaborate works of art could be housed. Below are four elements that home-owners of the past could use to display their most extravagant artistic treasures. 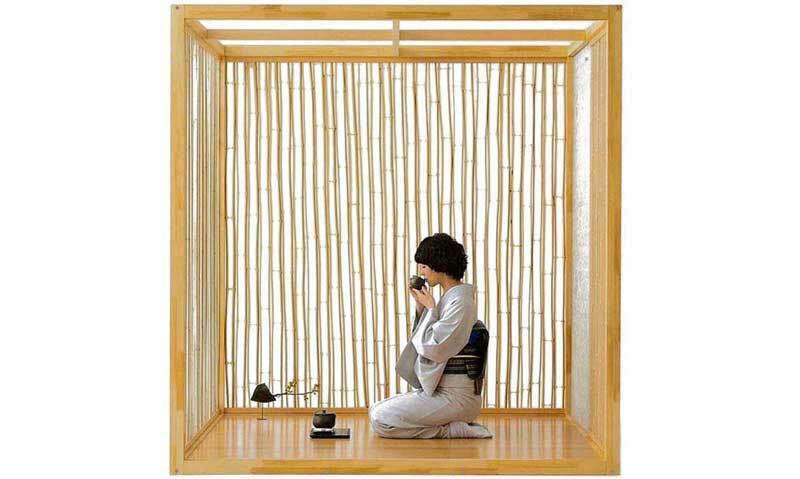 The byobu, or folding screen, was a wooden frame, upholstered with a taut skin of paper. As a piece of furniture it was ideally suited to the open-plan interior of the traditional Japanese house, where it could be employed to create separate functional spaces. But such an enticing canvas could not be left blank! Some of Japan’s most captivating works of art were created for this medium, including Ogata Korin’s famous Irises. These fresh blue flowers were painted over three hundred years ago, but still retain their bold uplifting figures, shimmering against the background of gold leaf. The Japanese house originally used Shoji screens as both doors and windows, so the rice paper surface had to be thin enough to let in daylight. Fusama, on the other hand, are more like sliding walls, delineating bedrooms or closing up closets, so the paper covering is thicker and opaque. While fusuma were often left plain, they, like their wooden counterparts, were also sometimes richly decorated. Many such painted fusuma can be viewed at temples throughout Japan. The example above is from Kyoto’s ancient Kenninji Temple, but this is no antique. It is part of an exhibition from award-winning painter Mika Toba, inspired by her travels in Vietnam. Temples are not the only places to enjoy decorative paper screens. In this hotel room in Matsuyama, the aquatic designs of ceramicist Yuki Hayama are recreated on the fusama and, unusually, the shoji, creating a sensation of swimming in an artistic aquarium. 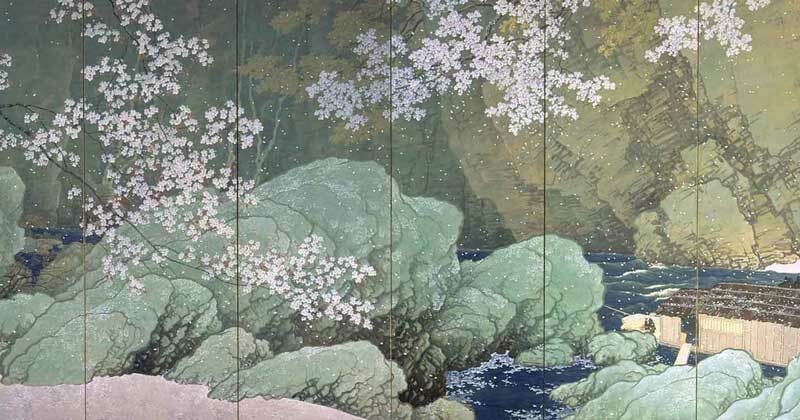 Decoration was not merely added by way of furniture, but was an integral part of Japanese interior design. The tokonoma, literally meaning a space in the floor, is a shallow recess built into the wall, and was added to the Japanese house at least five centuries ago. Its purpose is strictly ornamental, usually housing a flower arrangement and a poem or painting on a hanging scroll. Unlike a display case in a western home, where objets d’art can languish for a lifetime, the composition in a tokonoma is often seasonal, as in the autumnal design above. 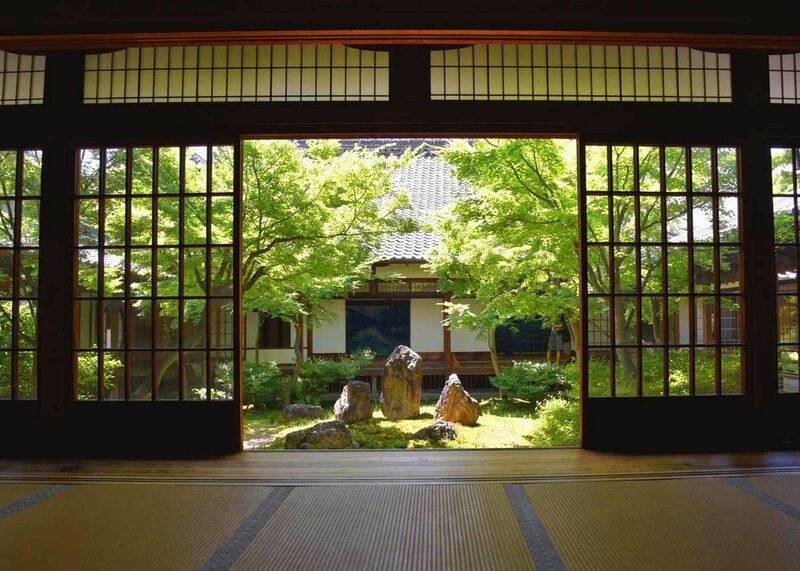 In many cultures the garden is considered separate from the house, but in traditional Japanese architecture, particular for the well-to-do, the garden was an inseparable part of the design. With shoji screens forming the house’s external walls, the distinction between inside and outside was discretionary. Gardening as an artform has been refined in Japan for at least a thousand years, when the Sakuteiki, or Records of Garden Making, was written. Many of the rules and techniques of that text are still in use today. If you have the opportunity to stroll around a Japanese garden, such as this courtyard from Kenninji Temple, you will see the finesse and ingenuity with which the garden is cultivated as an landscape painting for the residents of a Japanese home.